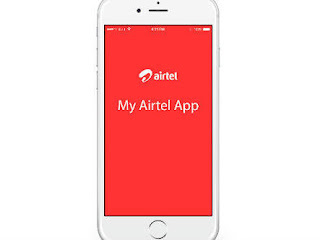 My Airtel App – Get Rs 50 Cashback on Rs 100 Airtel Prepaid Recharge or Above. Airtel is back again with an awesome offer where they are offering Flat Rs 50 Cashback on Airtel Prepaid Recharge of Rs 100 or above but less than Rs 348 amount. This is a limited period offer, valid from 16th to 30th of November 2017. Offer is valid from 16th to 30th November 2017. So Hurry up !! 4) Initiate a Airtel Prepaid Recharge. 8) Hurray! You will get the cashback as mentioned in this Post. 1. The offer is applicable only when the transaction is done through Airtel Payments Bank (wallet, savings account) on Myairtel app, Airtel website, USSD. 2. This is a limited period offer, valid from 16th to 30th of November 2017. 4. Customer can avail flat Rs. 50 cash-back on all such prepaid mobile recharges. The offer is valid only on self-recharges (recharges done by customers on his/her own number i.e. the number being recharged for and the number linked to the Airtel Payments Bank savings account or wallet which is being used to carry out this recharge, should be the same ). 5. Cashback will be credited to Airtel Payments Bank wallet or savings account within 3 working days of the transaction. 6. This offer cannot be clubbed with any other offer. 7. Airtel Payments Bank reserves the right to disqualify any Airtel Payments Bank savings account holder(s) or wallet holder(s) from the benefits of this offer in case of any fraudulent activity/suspicious transactions. 8. Airtel Payments Bank reserves the right to modify/change all or any of the terms applicable to this offer without assigning any reasons or without any prior intimation whatsoever. 9. Airtel Payments Bank also reserves the right to discontinue this offer without assigning any reasons or without any prior intimation whatsoever. 10. In case of any disputes, Airtel Payments Bank’s decision will be final. 13. Validity: 16th to 30th of November, 2017.